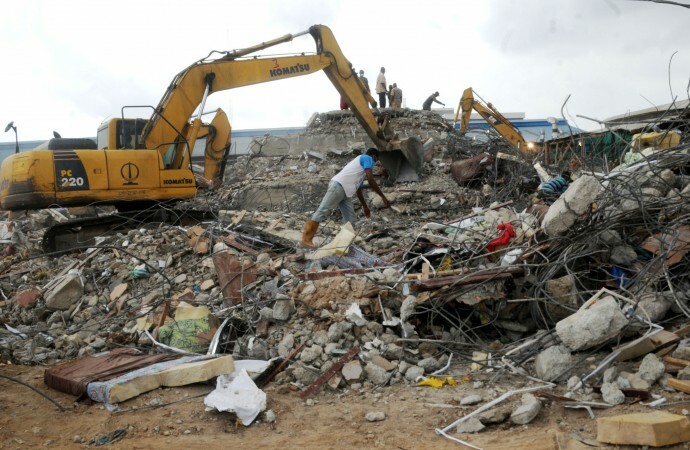 An uncompleted twin three-storey hotel at Nkwo-Eziudo market along the Ogidi-Abatete road, Ogidi near Onitsha has collapsed with no case of death or injuries reported. Residents of the area said on Sunday that the incident occurred on Saturday at about 2.30pm when workers had left the construction site. NAN reports that more than 20 workers are always on site during the work hours. The Ogidi Divisional Police Officer (DPO), Mr Hassan Musa, told NAN he was yet to be briefed on the incident. He said that the police would visit the scene and conduct investigations to ascertain the cause of the collapse.